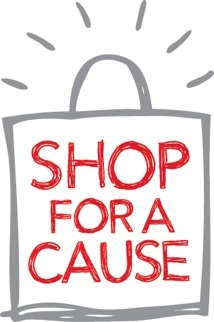 On Saturday, August 25, Macy’s will partner with Matheny to invite customers to participate in its seventh annual “Shop for a Cause” charity shopping event. It’s a unique one-day-only event created to support local non-profits’ fundraising efforts. You can purchase $5 shopping passes from Matheny by contacting Patricia Cats at (908) 234-0011, ext. 260, or emailing her at pcats@matheny.org. Matheny keeps 100% of every shopping pass it sells, and your shopping pass will entitle you to special discounts on most regular, sale and clearance purchases all day. So, shop ‘til you drop – it’s for a great cause: helping the children and adults with disabilities who we serve. This entry was posted in Uncategorized and tagged Macy's, Shop for a Cause. Bookmark the permalink.